Two former Hamilton paramedics charged in connection with the death of Yosif Al-Hasnawi will head straight to trial after a rare direct indictment one of their lawyers describes as "extremely unfair." Steven Snively and Christopher Marchant were charged in August with failing to provide the necessaries of life when Al-Hasnawi, 19, was shot in the abdomen and killed on Dec. 2, 2017 — not long after he tried to help an older man who was accosted by two men outside a mosque. 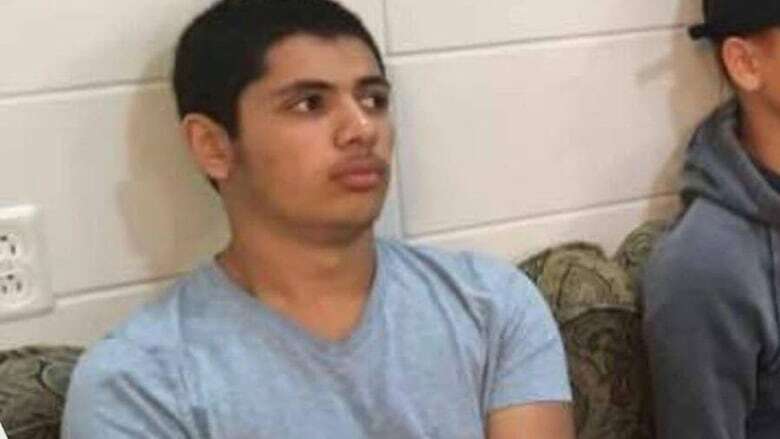 Witnesses, including his father and brothers, claimed the paramedics told Al-Hasnawi he was faking his injuries, and that he'd been shot by a pellet gun. Both paramedics have been fired by the city. Police say when paramedics arrived, they didn't take Al-Hasnawi to hospital for 38 minutes. When they did, they took him to St. Joseph's Hospital, rather than Hamilton General Hospital, which is not only the region's trauma centre, but closer to where he was shot. The direct indictment, which was filed by the Crown, is a "rarely used" provision typically seen in high-profile murder cases, according to Michael DelGobbo, who is representing Snively. It means there will be no preliminary hearing. The lawyer pointed out that Dale King, the man charged with second degree murder for Al-Hasnawi's death, was allowed a preliminary hearing, but noted the two paramedics have had that "right removed by the actions of the Crown." He said in this case the direct indictment also prevents the paramedics from having their case tried in the Ontario Court of Justice, meaning it must go to Superior Court. "The Crown has taken away my client's ability to elect the level of court to be tried in which is extremely unfair," said DelGobbo, adding the Crown hasn't given him any explanation for the unusual move. A spokesperson for Ontario's Ministry of the Attorney General confirmed a direct indictment was "preferred" on the charges, but would not comment further.